RRSPORT.CO.UK • View topic - Surround Camera Retro fit. Home > In Car Electronics > Surround Camera Retro fit. I’ve got some more cameras on the way and just need to source these cables. The cameras are these 6 pin as fitted to the late Disco 4 and FFRR, the image on the screen is from the camera plugged into the module with a short loom from a mirror hence the view of the cabin. Will be very interested how that all works out, when I changed my mirrors I ended up fitting a couple of the rear view cameras in the mirrors as already had surround system and couldn't find leads of any sort to connect the RRS2 6pin into the RRS1 4pin system, also as the original cameras had the puddle light integral in camera have two permanent camera faults listed which I put down to the puddle lights although everything works fine. Would like to see if I could get rid of the faults. Did find these before but never pursued it. I’ll let you know how it goes Col. 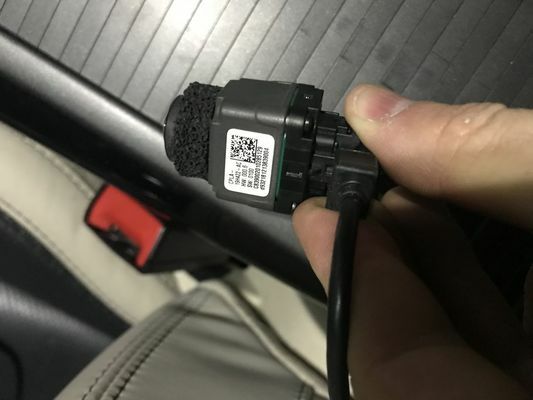 The MX39 connectors from JAE are only available as an assembled loom which is a PITA. I have contacted a company in China who make these cables to see if they can do custom lengths and one offs. 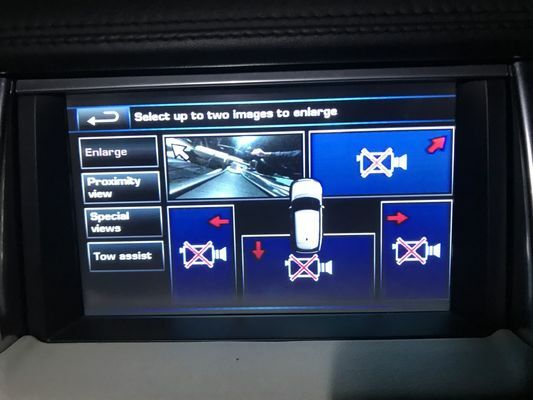 I get this sort of thing Chris if that is what you mean, don't know if same as RRS2 though, changes colour the nearer you get to things, yellow, orange then red I think along with the sensor beep increasing, also get the "bendy" yellow lines with the steering wheel movement. I'm also keen to see how this turns out and what parts & coding are needed etc. 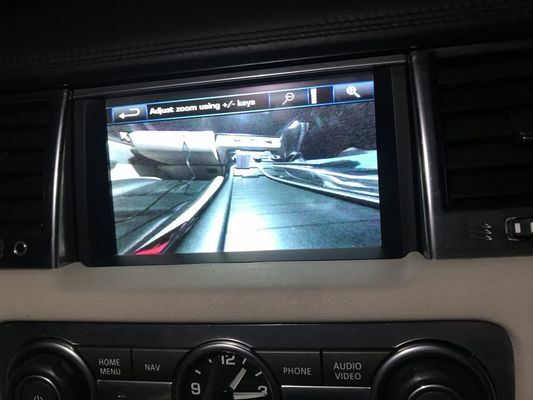 Assume you wont get the surround camera icon on the main display without a new head unit? I'm also keen to know if anyone has done a blind spot monitoring retrofit, does it just need new mirrors with the blind spot included and the sensors in the rear bumper to detect oncoming traffic then coding to activate or is it more complicated than that? You shouldn’t need a new head unit, it just needs the CCF updating to effectively turn the option on and then the icon will appear. I’ve been looking at the blind spot mod but I can’t find much info on the L320 having it. Looking at the Disco 4 wiring manual it’s easily intallable but again it will be the CCF that could cause an issue.